Two people have been charged with murdering a 39-year-old woman, preventing her burial and fraudulently claiming her benefits payments. Kevin Flanagan, 39, and Kathleen Salmond, 40, are both accused of murdering Lisa Bennett in the Weoley Castle area of Birmingham. Ms Bennett was reported missing by her mother in May 2013. The pair were granted conditional bail when they appeared before Judge Paul Farrer QC at Birmingham Crown Court. A plea hearing was scheduled for 2 May. 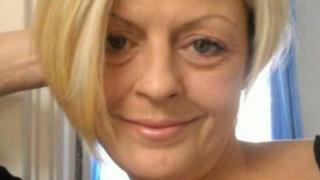 Ms Bennett was believed to be living in the Selly Oak area but was originally from Burton-on-Trent. Mr Flanagan, of Redbrook Covert, Kings Norton, Birmingham, and Ms Salmond, of Farnhurst Road, Hodge Hill, face one charge each of murder, fraud and preventing burial. They are accused of killing Ms Bennett and preventing the lawful and decent burial of her body on or about 9 May 2013. The fraud charge alleges Ms Salmond posed as Ms Bennett and arranged for benefits to be transferred to her between May 8 and 31 2013. Judge Farrer set a provisional trial date of 2 September at the same court, which is due to last five weeks.